Liverpool coach, Jurgen Klopp, has confirmed that defender Joel Matip, will not represent Cameroon at the upcoming African Cup of Nations. 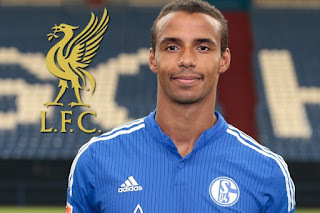 Matip has not played for his country since 2015 and in September this year, he revealed his desire to stay back in England, during the competition that will be staged in Gabon. Cameroon have recently made efforts to try and convince the 25-year-old to end his international exile, but it appears it has failed. Speaking at a news conference on Friday, ahead of this weekend’s Premier League fixture against West Ham United, Klopp said: “We had this talk a few weeks ago. “I was not surprised anymore. Of course, I’m happy about this — that’s no doubt. “Players have to make these decisions by themselves, it’s nothing that the clubs can do.